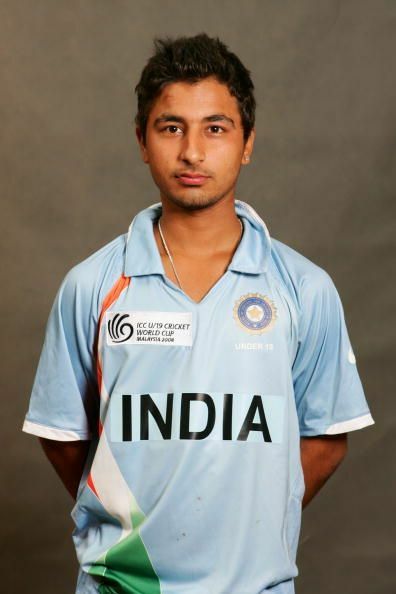 Shreevats Goswami is a professional Indian cricketer, born on 18 May 1989 in Kolkata, West Bengal India. He is a left handed wicketkeeper batsman, who plays for Bengal in the First-Class cricket. Goswami, due to his playstyle is preferred in shorter formats of the game and is yet to discover himself in test cricket. Goswami started playing cricket at the age of 11 and grew up to play domestic cricket for the under -19 Bengal team. Goswami’s Indian Premier League debut for Royal Challengers Bangalore came on May 19, 2008 against Delhi Daredevils. Coming in at middle order of the batting line up, he scored a half century off 42 balls. However, Delhi won the match by 5 wickets. Goswami made his first class cricket debut against Madhya Pradesh in November 2008 at Gwalior. He scored 22 runs from 37 balls in the first innings, he couldn't do much in the second innings and was dismissed for a duck in 7 balls. Goswami has found it difficult to cement in his position in the Bengal team due to the presence of Wriddhiman Saha who is also a wicketkeeper batsman. However in the 2016-17 Ranji Trophy he got his career’s best total of 227. The Bengal’s emerging star was selected for India's ODI series against New Zealand A in 2017 because of his good performances in domestic cricket. After playing for RCB team in the IPL for first 3 seasons, Goswami moved to KKR for the 4th season, he was then bought by Rajasthan Royals for the 5th season. Sunrisers Hyderabad have bought Goswami for Rs. 1 crore INR for the upcoming 2018 IPL. His auction saw a serious fight between Royal Challengers Bangalore and Hyderabad, giving him an 500% increase in the base price of Rs. 20 lakhs. Goswami has played 42 matches in first class cricket, he has scored 1986 runs with a innings highest of 225. He has participated in 72 List A matches and has scored a total of 2665 runs with innings highest of 149. Goswami has 10 centuries in first class and List A matches combined.